ISO 45001:2018 is a popular British standard system widely followed to obtain occupational health and safety management systems. 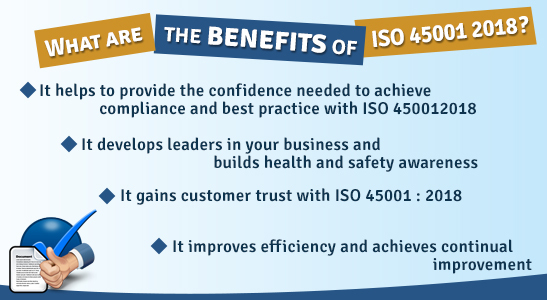 ISO 45001 can make students help organizations achieve demonstrably sound OHS system which can protect employees from wide range of dangers, hazards and health risks. IRCA-approved Lead Auditors certification provides students an authority to suggest, devise, plan and implement corrective measures to build sound and sustainable Occupational Health and Safety Management System. The course provides a part of the training needs for those seeking registration under IRCA OH&S Auditor/Lead Auditor Registration Scheme. The five-day training program covers following topics. Students aiming this certification should preferably have fair knowledge on ISO certification needs and basic understanding on occupational health & safety audits. Those who don’t have prior knowledge on ISO 45001 certification standards should study IRCA2121 foundation course before take up this training program. ISO 45001:2018 lead auditor course at Green World Group in Cochin covers safety and health management in details along with audit planning and techniques, international standards and practices in risk management, documentation and assessment and other valuable data need to conduct high-profile auditing. Having advanced and up-to-date teaching methodology and experienced faculty members, students get individual guidance and can have their auditing skills sharpened before they begin their career. Apart from this, we also provide career and placement assistance to every individual candidate. Occupational health and safety has assumed great significance in modern day work environment which offers stringent work conditions and demands high productivity from workers. In an effort to create safe and congenial work condition, Green World Group has been providing scores of professionals to industries around the world who can ensure safe workplaces sans hazards and health risks. GWG, which has branches all over the world, has formulated industry-oriented and risk-specific courses which have accreditations from leading educational institutions and boards from across the world. Some of the most widely sought-after courses that are offered to students and professionals at Green World Group in Cochin are IOSH, NEBOSH, IRCA, HACCP, CPD, NCFE, ROSPA and National diploma courses (approved by Govt. of India) to meet individual’s and industries’ needs. Auditing make companies compliance with international risk and health standards, which offers clean, safe and highly secure work conditions for their employees. 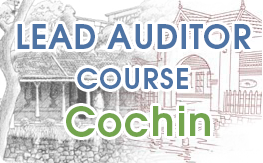 Green World Group in Cochin has introduced International Register of Certificated Auditors, London (IRCA)-recognized Lead Auditor Course ISO 45001:2018 in alliance with BSCIC Certification for those who want to become internationally recognized lead auditors for occupational health and safety. Green World Group in Cochin is the place where one can study IRCA-accredited ISO 45001 auditor and lead auditor courses. 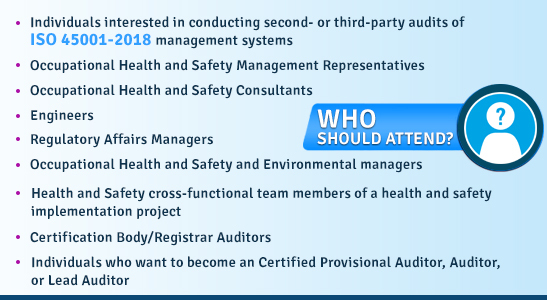 Popularly known as the international Occupational Health and Safety management system Specification, on successful completion, students can apply for prestigious membership in International Register of Certified Auditors (IRCA). As IRCA recognized auditors, students can work as independent auditors on any work platform helping companies in reducing workplace risks, dangers and health hazards and can also devise safety mechanism for sustainable risk management.